Back in 2012 Line of Duty became one of the most critically-acclaimed drama series of the year. The programme focused on DCI Tony Gates (Lennie James), a well-respected officer with a loyal team and the best crime figures on the force. The story that followed saw Gates being put under investigation by the anti-corruption unit AC-12 as they believed his brilliant statistics were too good to be true. Gates' world eventually crashed around him as his corruption was finally revealed for all to see. 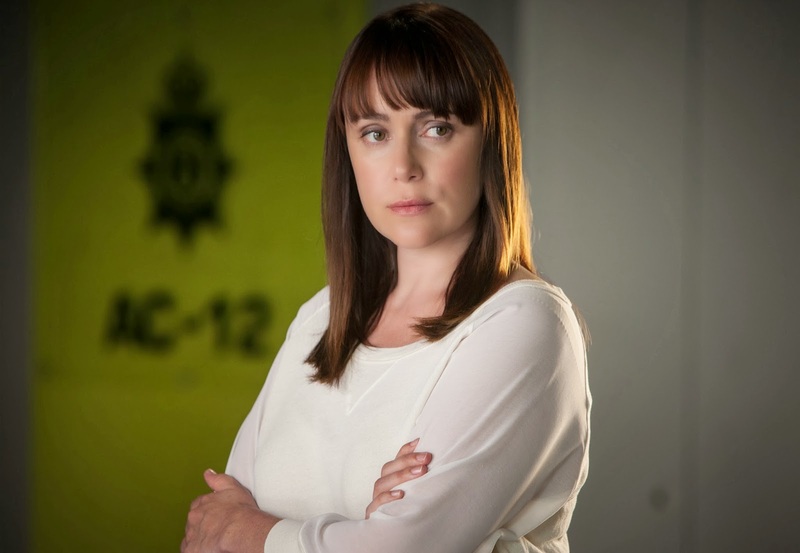 For obvious reasons, Gates isn't returning in series two and his place in the series has been taken by DI Lindsay Denton (Keeley Hawes), who in some ways is his polar opposite. She isn't exactly popular with her fellow officers and has previously been viewed as somewhat of a trouble-maker. The explosive opening scenes follow Denton as she helps a colleague move a witness from one location to another. The team is soon ambushed on the road and the resulting chaos involves the death of two of Lindsay's colleagues. Though she does suffer some injuries, Lindsay gets away fairly unscathed and is back at work in no time. The ambush draws the attention of the AC-12 team which is still being led by Ted Hastings (Adrian Dunbar) who now counts Steve Arnott (Martin Compston) and Kate Fleming (Vicky McClure) as two of his best workers. As Ted tells the pair that they'll be working the case in the near future, Kate tells him she can't do it as she was previously close to one of the deceased officers. This leads Ted to find a new partner for Steve in the form of plucky young Georgia Trotman (Jessica Raine) who is a little too eager to prove herself. The stage is then set for the first of what I assume will be many confrontations between Lindsay and the new-look AC-12 team. Writer Jed Merucio has really brought all the best elements of the first series of Line of Duty and added a little bit more to the pot. This means that right from the dramatic opening sequence you're hooked on the mystery behind the ambush and indeed if Lindsay Denton had anything to do with it. Whereas we realised Tony Gates was up to no good early on, Lindsay is a much more ambiguous character which makes this series even more exciting than the first. The role of Lindsay is also a departure for the normally glamorous Keeley Hawes who claimed to have had the most fun she's ever had on a TV set. Hawes does certainly step out of her comfort zone to play this dowdy singleton whose having her head shoved down the toilet one minute and having a confrontation with her neighbour the next. One thing I will say about Mercucio's scripts is that they are a lot more focused this time around and thankfully there's less talk about paperwork. Instead we have several thrilling scenes which are bolstered by some dialogue-heavy moments which are equally intense. A great example of this is Lindsay's first interrogation by AC-12, a scene which is well over ten minutes long but is utterly gripping nonetheless. As well as introducing a new character in Denton, Mercucio has advanced the characters of both Steve and Kate. In addition it looks like we're set to learn more about Ted and the frosty relationship he shares with his wife. I can't recommend Line of Duty enough as it's a well-written, expertly-played and gripping thriller that is incredibly well-paced. Even though we're only in February, I can already say that Line of Duty will be one of my TV programmes of the year and I can't wait to see what happens next. 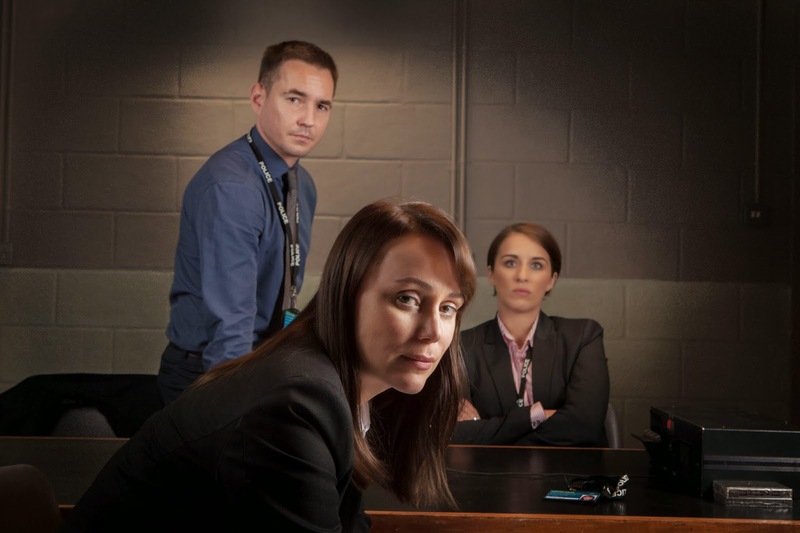 Line of Duty Starts Wednesday 12th February at 9.00pm on BBC TWO. This sounds really exciting! I can't wait!